Over the past few weeks our Yoga classes have prepared us for the springtime – with our “focus on focus” classes and last week’s spotlight on using Yoga and acupressure as a way to help balance the immune system and soothe seasonal allergies and respiratory irritations. Now, it’s time for some Spring Cleaning … using our Yoga as a way to squeeze out the tired-out winter chill and make way for new life. Let’s refresh together! Don’t Forget: Our monthly Saturday morning class is next Saturday, April 6 at 9:30 a.m. If you’re still interested in an occasional Sunday afternoon Meditation practice, let me know (email me at jackie@peacefulhands.com) and I’ll find an upcoming Sunday for it. Very sorry, my friends, I need to cancel today’s meditation practice. Just a little under the weather and staying in today seems the wisest course. I’ll let you know when I come up with a rescheduled Sunday for us to meet. I hope there’s peace in your pretty spring day and I hope you make time for a few minutes of quiet meditation at home. A song about the number four … which just happens to be this week’s theme at Peaceful Hands Yoga! ONE … Unroll your mat on Monday, 4:30 p.m. and 6:00 p.m.
TWO … Wednesday, too, 4:30 p.m. and 6:00 p.m.
THREE … Saturday, March 16 is a spring’y fun-flow Saturday morning class at 9:30 a.m. We’ll give a little extra Yoga love to the hips in this class. The special once-a-month Saturday morning practice is already part of your unlimited plan or counts for one class in the 8- and 10-class plans. Or, just drop in! ($13). FOUR … Sunday, March 17, Meditation practice at 4:00 p.m. I feel spring. Don’t you? Sure, it will probably snow once more … or twice more … or more more. But, I feel spring in my bones. And, I see it on the calendar, too. The new 8-week SPRING YOGA session at Peaceful Hands begins on Monday. Spring gives us a vibrant, new energy that can transform our Yoga practice. What was stiff in December, suddenly let’s go. What was cold in January, warms. What was tired in February, awakens. There’s something fresh and alive and wonderful when it’s springtime on the mat! Snow’s Coming Down … Turning Everything White. 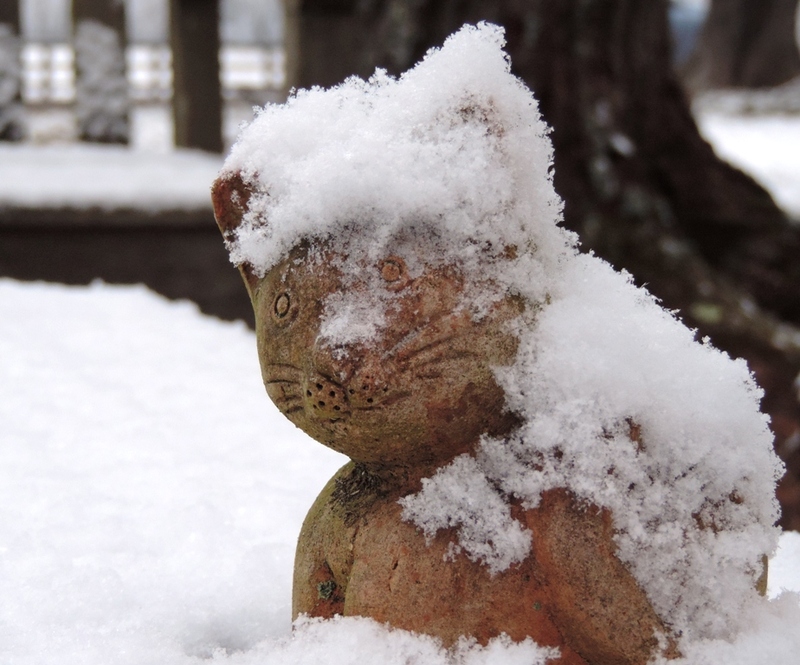 Sleet’s Coming Later … No Yoga Tonight! There’s no telling what the weather will be later today … but I think it’s best to err on the side of caution and cancel Yoga classes at Peaceful Hands for this afternoon and evening. We’ll extend the current session, accordingly. There are two classes left in the Winter session, which will now run through next Wednesday, February 27. And, the Spring Session will begin on Monday, March 4. Just a few reminders for you … as the Winter Session at Peaceful Hands draws to its close. Will there be a Downward Dog today?